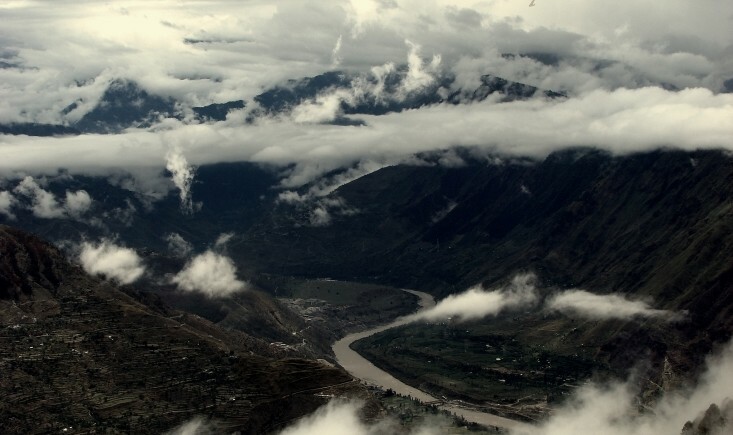 With its source at holy Mansarovar Lake in Tibet, Sutlej is one of the few rivers that cuts across the Mighty Himalayas. It enters India at Shipki La. and can be first seen to a road traveler at Khab in Kinnaur. It has confluence with the Spiti River here. Being a young river, it’s a fast flowing one and does not miss a chance of eroding something which disrupts it. This River has always provided travellers with the thrill element, while one drives on its banks, like the narrow and high gorge it has formed in Taranda. You have to go through a three side tunnel cut into hard rock. Baspa is one beautiful valley out of a fairy tale. The Baspa meets the Sutlej at Karchum. 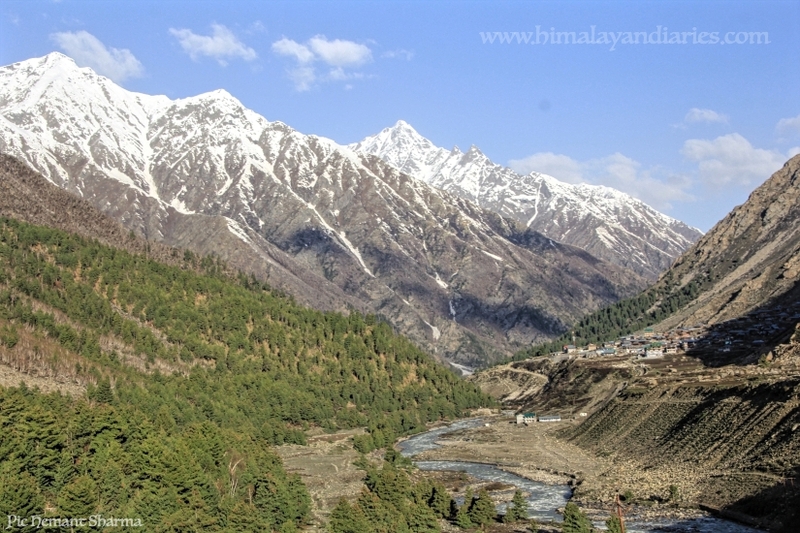 The Valley is famous for the villages Sangla, Rackchum and Chitkul. 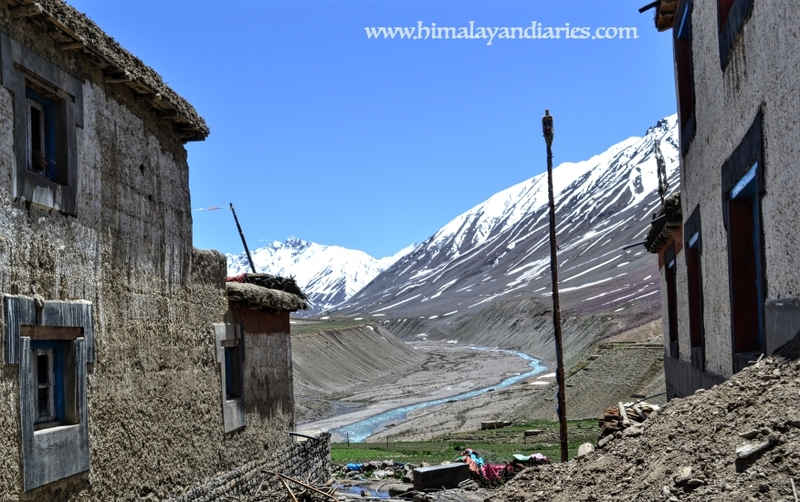 Chitkul is the last of the villages along the Baspa Valley. It is also the end of habitation towards the Tibetan border. The source of Baspa is the glacial melts from the Rangrik Rang and Baspa Mountains. The gushing blue waters of the Baspa flow between valleys dotted with trees of Pine Nuts, deodar and Himalayan Birch. Its has become a popular destination for travellers over the years. Spiti river is an epitome of unmatched natural beauty. It has its source in the mountains near Kunzam pass. The valley is prominent for its vibrant Buddhist traditions and culture. It has been the centre of civilisation in the region of Spiti. Famous monasteries like the Kye, Dhankar and Tabo flourish on its bank. 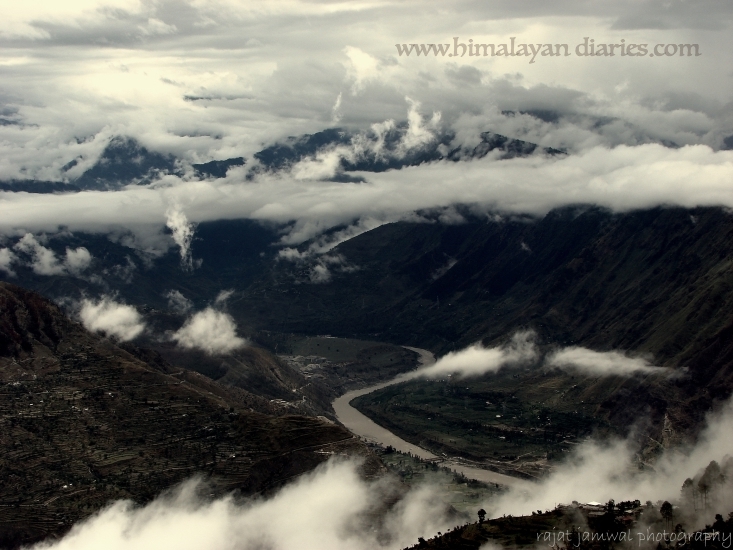 It is relatively calmer than most Himalayan rivers, and you can even take a dip in it. It falls in the rain shadow region, so the region is barren and dry and it has a barren mountain landscape like Ladakh. The lower Hangrang Valley is relatively green and is famous for its apple plantations. The area is cut off from the main land India from November till mid April. A relatively less traveled Valley. 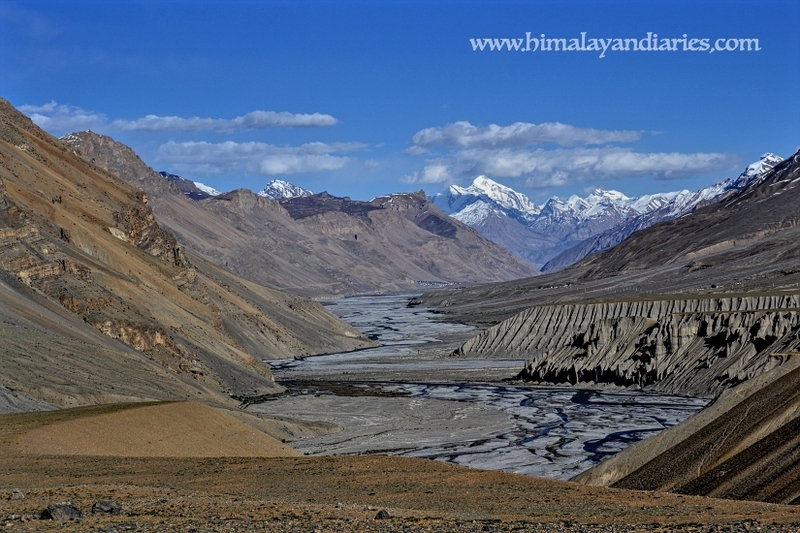 The Pin River originates from Tari Khango La and covers about 50 Kms before it merges with the Spiti River between the villages of Hal and Morang, near the Dhankar Monastery. The Valley has some scenic and captivating landscapes, which remain in your memory for ever. Mud is the last village in the Pin Valley. The other villages of Pin Valley are Sagnam, Todnam and Tiling. There is a road which enters into the Pin Valley from a place called Attargo. The route remains an alternate mode of exploring the inhabited regions of Spiti.